Getting up this morning both Kristen and I had a good plan of what we were going to do. Everything on the list seemed pretty easy. However, it was the last item that proved the most difficult. We knew going in that the peak of the the mountain was about 1,700 feet above sea level. In my mind at least seemed fairly do-able. I figured go up the mountain, come back down and get lunch. That proved to be the case, however it was the two and a half hours spent hiking up and down which ended up zapping all our energy for the day. We started on our way up at 11am. By 11:15 I was huffing and puffing my way up the mountain. It was stair after start etc...The whole way up consisted pretty much of sore legs, lots of sun, and sweat. What is inspiring is all along the path there are sporadic Buddha images placed there. So while you are utterly miserable you can feel that you are on a spiritual journey at the same time. At about 12:15 we reached our reward. The peak. At the top it was absolutely amazing. You could see down the coast of Japan plus many numerous islands. In addition there was a good feeling knowing that we made it up on our own power and strength. In all it was a rough climb, but in the end we were both glad we did it. 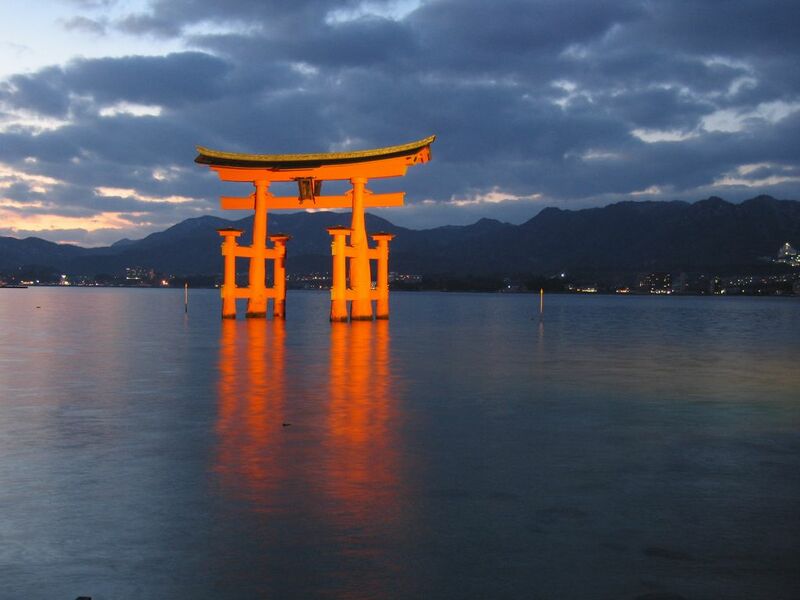 or more here on Miyajima isle! Today we have a little day trip planned from Hiroshima to Miyajima on the JR Ferry. 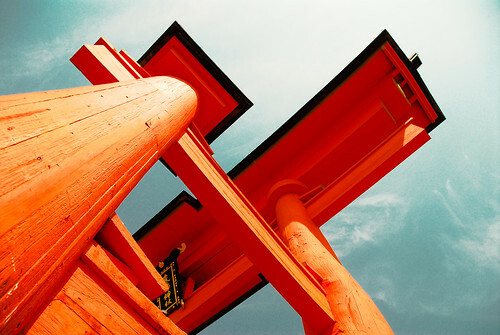 Should be really pretty, the torii there is one of the most sought after sights here in Japan. Charlton just got all cleaned up so we are going to go pick up breakfast and lunch at the grocery store around the corner and then ride the cable car to the station before catching the ferry for hiking, sight seeing and picnicing.